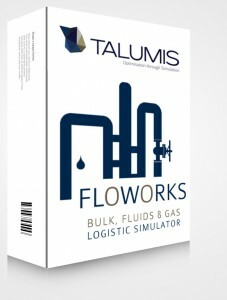 FloWorks, bulk, fluids & gas supply chain simulator is a powerful additional module for FlexSim simulation software used to accurately analyze and optimize the logistics of bulk, fluids or gas flows in a network. FloWorks is a radical new approach to combine discrete events and continuous processes to an ‘event driven continuous calculation’. The approach consists of modeling continuous processes as a network of flows. A network can be any type of flow from a chemical plant to a production line or even electric energy. As long as the flows can be defined as linear, FLOWORKS will calculate the ‘optimal’ flow through the network. The objects in FLOWORKS are able to define splits and joins either on ratio’s or as preferred flows. Flows can also be delayed or buffered, allowing for all kinds of complex flow and logic definitions. 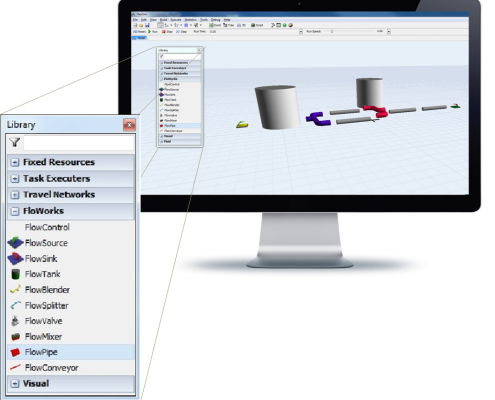 FLOWORKS makes it possible to fast and accurately integrate continuous processes in a discrete model. This enables the simulation engine to calculate the most complex network models within seconds, by excluding any unnecessary calculations. 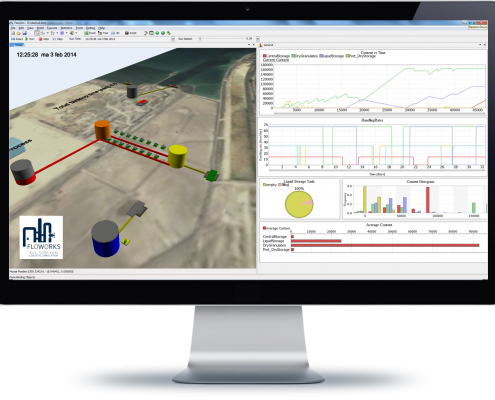 The FLOWORKS module seamlessly integrates with FlexSim, integrating all FlexSim tools like dashboard reporting, experiment design and 3D visuals. 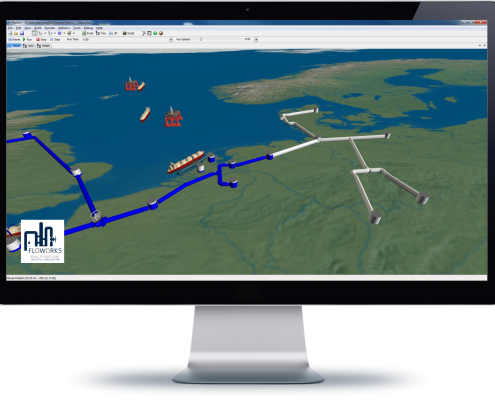 With FLOWORKS bulk fluids & gas supply chain simulator you can simulate an entire year of the most complex fluid networks in just seconds. With FLOWORKS you can simulate the extension of your network and simulate all network flows, thus choosing the optimal infrastructure expansion strategy. Want to know more about our custom-made products? 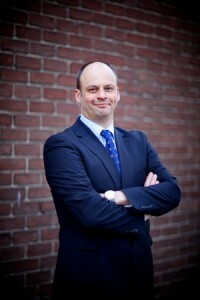 If you want to have more information about how FloWorks bulk fluids & gas supply chain simulator can be an integral solution for your organisation, please do not hesitate and contact our FloWorks lead, Dirk-Jan.